Cormate T27 Supermarine, fitted with 4.5L 250hp V6 Mercruiser petrol engine. 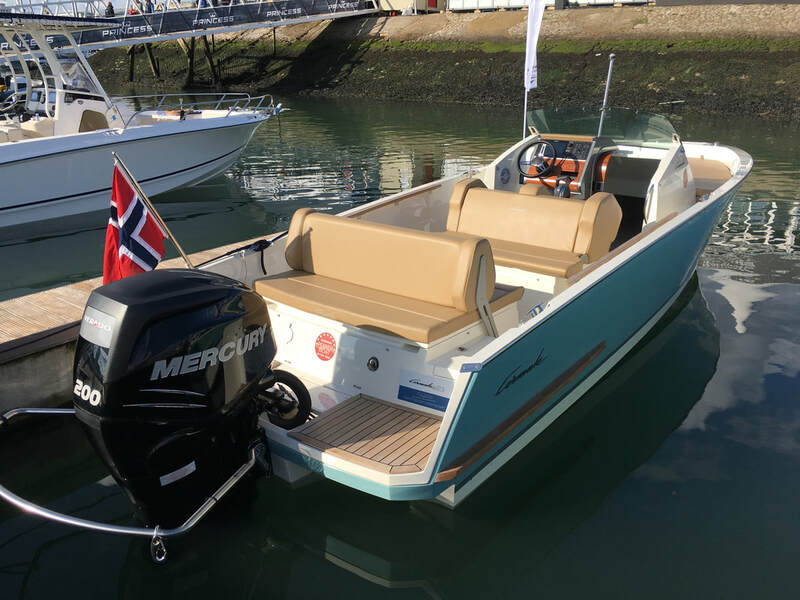 Presented in pastel blue with cream leather touch upholstery, full teak deck, teak fenderboards and top sides. Electric stern anchor, intgrated fridge, kettle and cook stove, transom shower, marine WC, bow thruster, Cormate balance plane tabs ,racing throttles ,high performance steering, Bimini top, tonneau covers and mooring cover. Cuddy cabin sleeps two with separate concealed heads, sink, mahogany picnic table. 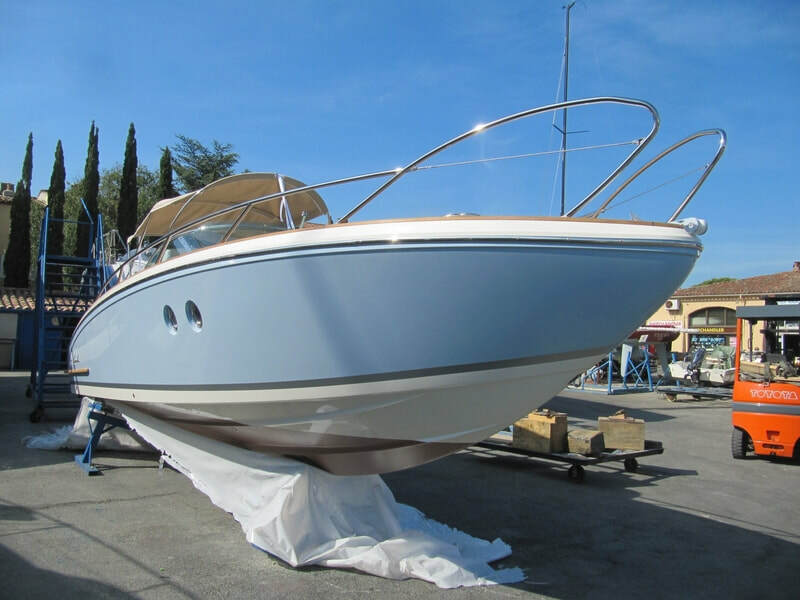 Copper coated hull, Full engine management, navigation and music system. 1 owner. 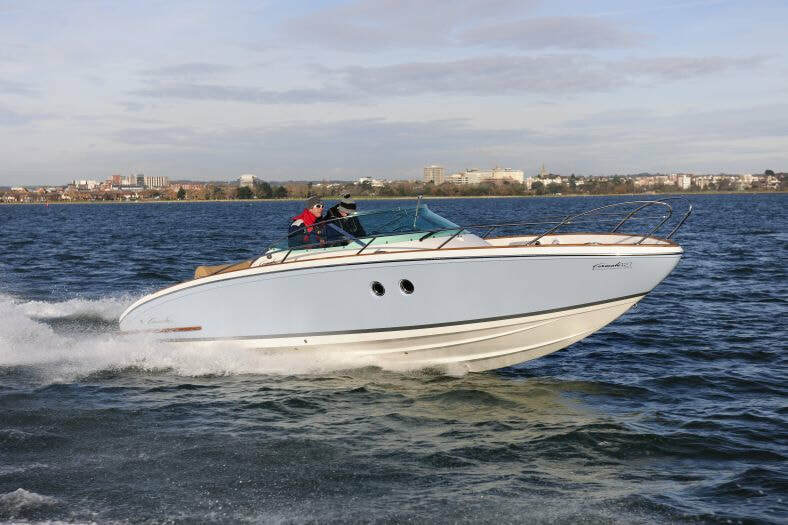 Cormate T27 Supermarine, fitted with 6.2L 350hp V8 Mercruiser petrol engine. Presented in pastel blue with sand leather touch upholstery, full teak deck, teak fenderboards and top sides. Electric stern anchor, intgrated fridge, kettle and cook stove, transom shower, marine WC, bow thruster, Cormate balance plane tabs ,racing throttles ,high performance steering, storm canopy, tonneau covers and mooring cover. Cuddy cabin sleeps two with separate concealed heads, sink, mahognay picnic table. dry stck stored from new, full engine management, navigation and music system. 1 owner. 200hp Mercury Verado supercharged outboard (approx 25 hrs). 1 Owner from new, dry stored. Ocean hull colour with sand leather touch upholstery, teack deck, federboards and rails. Mahogany dashboard and cabin door, cuddy sleeps two, chemical wc. 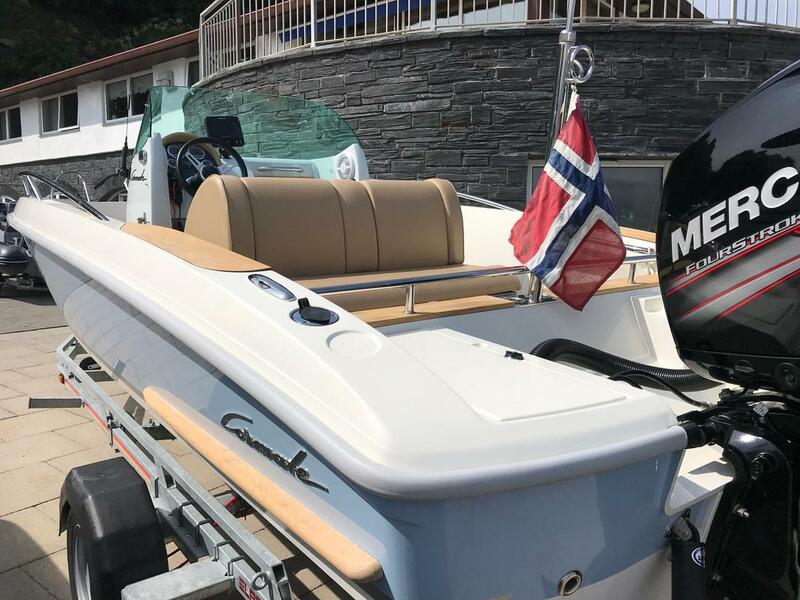 Forward sundeck, aft bench seat converts to additional sundeck, overall cover and tonneau covers, water ski system, Raymarine plotter / sounder / music system / engine management system. Transom shower.